Hmm…could the latest “Q” post of “BOOM, BOOM, BOOM” pertain to not only political upheaval, but also a spiritual upheaval for Planet Earth? 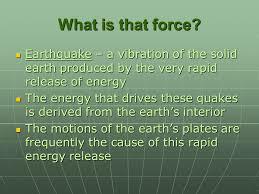 And by spiritual upheaval, I mean the release of negative energies as perceived by the shift of tectonic plates on Earth. My goodness, this will/is resulting in an increase of volcanic and activity. Let’s take a look and put some pieces together and explore the science behind this global situation. Okay, so the increase in energies from the solar wind speed (due to the failing geo-magnetic fields on Earth) are heating up the mantle of Earth…think Hawaii over the “hot-spot” in the Earth’;s mantle. The video above by Dutchsince shows an increase of tectonic deep earthquake activity, ancient volcanoes that may be “fired up”…and what may be next! The video above shows the caldron area of Kilaeau collapsing in on itself which raises the possibility of a giant steam-driven eruption. This info ties in nicely with the building pressure under Mauna Loa. Stay tuned! The video below is only relevant up to about the four-minute mark. This video shows a progressive line of earthquake activity. Wonder where an earthquake will hit next along this line? This entry was posted in Uncategorized and tagged earthquake, energy release, hawaii, Kilaeau eruption, love, Mother Earth, Mouna Loa, no where to hide, NYC, South America eathquakes, vocanic activity increase. Bookmark the permalink. I heard an absolutely enormous boom this morning that seems to be reflected nowhere in the local news… My goodness, California’s a-rockin’ and a rolin’!